Halifax folk band Hillsburn has been named the regional champion for mainland Nova Scotia in CBC Music’s Searchlight competition. 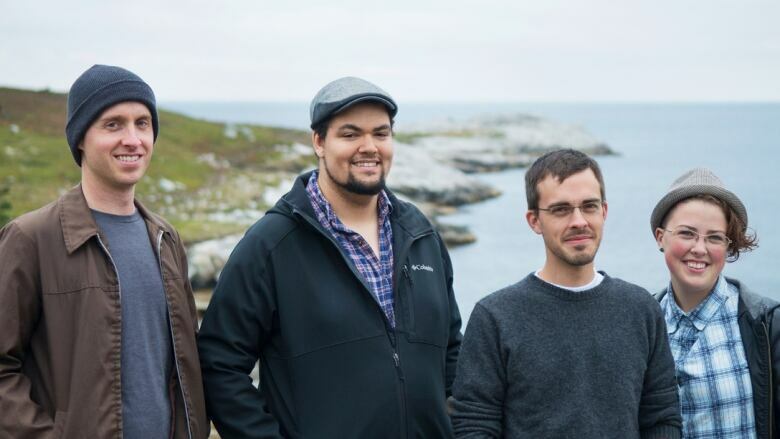 Halifax folk band Hillsburn has been named the regional champion for mainland Nova Scotia in CBC Music's Searchlight competition. Grant Lawrence made the announcement live on Mainstreet Tuesday afternoon. The band and their song, Farther in the Fire, beat out over 150 other entries from mainland Nova Scotia to claim the regional title. They'll now compete against 22 other acts from across the country to make it to the national top 10. Lawrence said the band had an incredible outreach during the competition, referring to their Youtube videos and how they connected with other Searchlight bands. He thinks this gave them an edge in the competition. "It seems like they just had the right attitude going in which is the attitude of community building as opposed to the attitude of competition," said Lawrence. He said the group was one of his favourite discoveries from Searchlight and that they reminded him of the popular St. John's, Newfoundland and Labrador band, Hey Rosetta! Hillsburn is made up of Halifax's Paul Aarntzen, Jackson Fairfax-Perry and siblings Clayton and Rosanna Burrill. Aarntzen, the band's vocalist and principal songwriter, was very sick and was in and out of the hospital last winter. He decided to starting writing music to help him recover. When he got out of the hospital, he says he wrote at least one song every day for a month. These became the band's initial material. Hillsburn recorded their first EP in a classroom at Dalhousie University. It was released last fall. Over 3,300 artists entered Searchlight when it began last month. The top five bands with the most votes will automatically make it into the national top 10. The other five will be chosen by musician judges Dan Boeckner, Saukrates and Jenn Grant, who hails from Halifax. Lawrence told Mainstreet that the national competition is stiff. The overall winner will be announced on q on May 15 and win $20,000 in music equipment and a gig at the CBC Music Festival in Toronto.